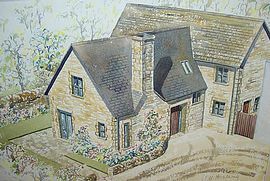 Chure House Stow-on-the-Wold, is a brand new house sympathetically built within the town conservation area. Only a minute's walk to the town Square (the centre of town), yet set back from the road and very quietly located. Lots of excellent eating places and shops in Stow-on-the-Wold within a couple of minute's walk. 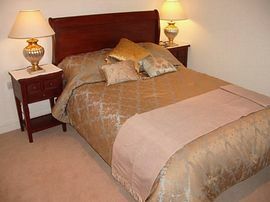 The accommodation in this Stow B&B, is furnished to a particularly high standard. The bedrooms are very light, airy and spacious. All bedrooms have an extensive hospitality tray, including cafetiere coffee, selection of teas, with television, central heating, hair dryers and a seating area, with chairs and table for your comfort. All the bedrooms are en-suite with luxurious, spacious shower baths. 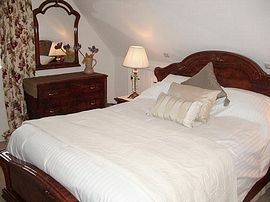 The Cavalier Room: £80.00 per room. The Roman Room: £75.00 per room. 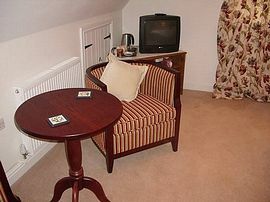 The Cromwell Room: £70.00 per room. The Cavalier: £70.00 per room. The Roman: £65.00 per room. The Cromwell: £60.00 per room. There is a two night minimum stay if one of the nights includes a Saturday night. This can be either a Friday and Saturday or Saturday and Sunday. Please enquire if you would like just a Saturday night as we do occasionally have Saturday night only available. 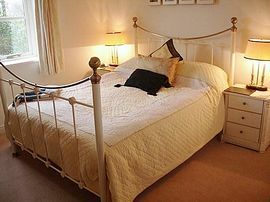 £10 supplement for Bank Holidays and Cheltenham Races per room per night. Pet Facilities: Pets are allowed. Well behaved pets. Centrally located in Sheep Street in Stow-on-the-Wold on A436.